If you're looking for a great activity for your kids, look no further! 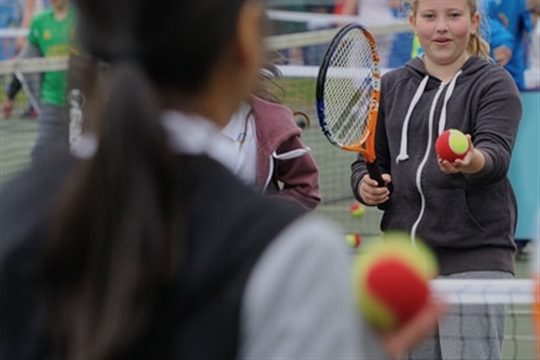 Tennis for Kids is a six-week FREE introductory tennis course packed full of fun games and activities. Courses are run by specially trained Coaches and are perfect for kids brand new to tennis. We have 3 courses starting the week commencing 24th April for 6 weeks. From how to hold a racket to developing a rally, your kid will learn all the essentials that are key to falling in love with tennis. From how to hold a racket to developing a rally, your kid will learn all the essentials that are key to get them falling in love with tennis. But it's not only a great way to stay active; it’s a social sport that will help your child develop valuable life skills, such as respecting one another and being part of a team! Most importantly, they'll be having fun and making new friends in a safe, relaxed environment!